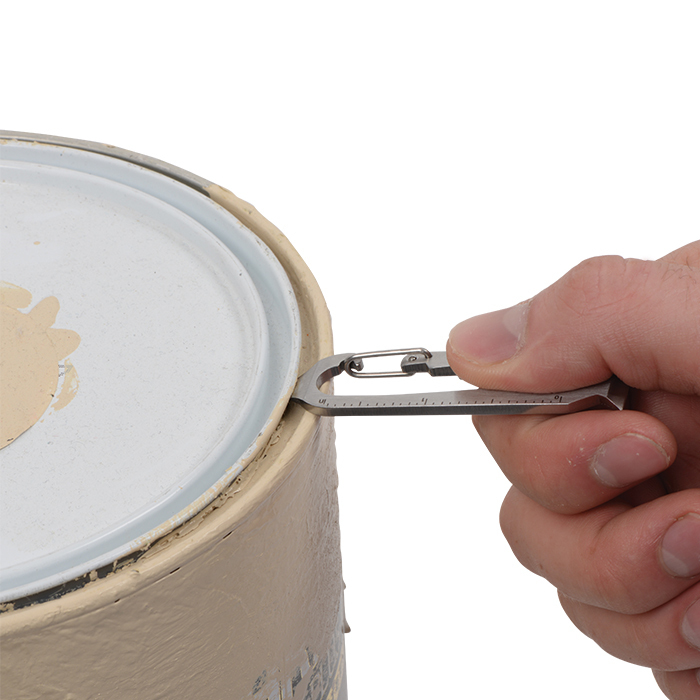 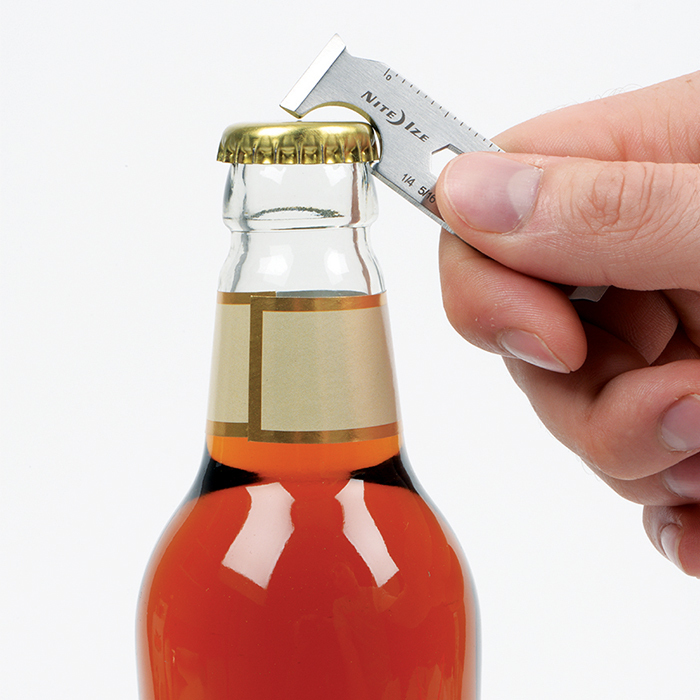 Some tasks call for specific tools, others call for clever solutions. 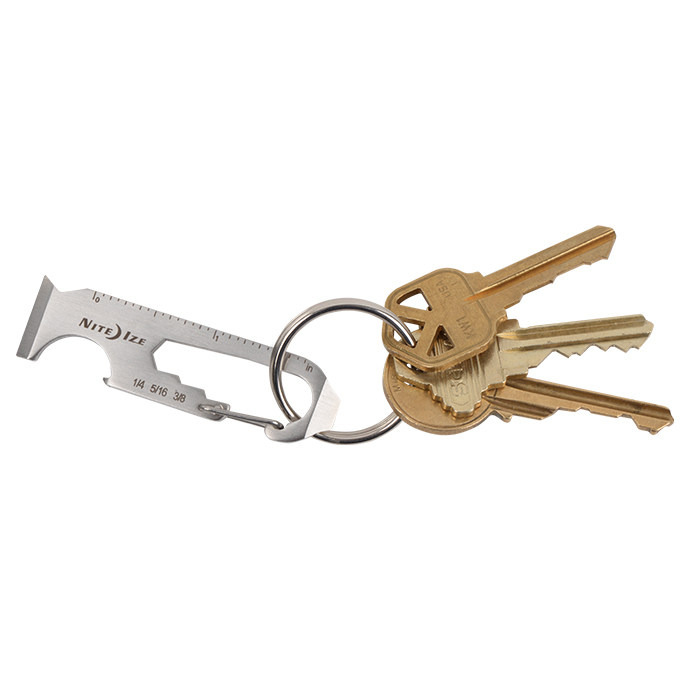 We created our DoohicKey 6x Key Tool to provide both, in an all-in-one, lightweight, compact, and portable size. 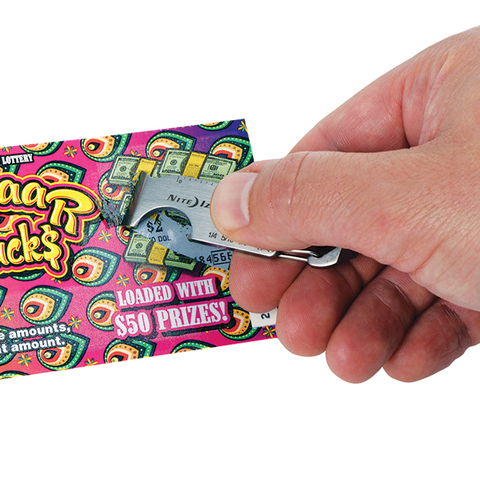 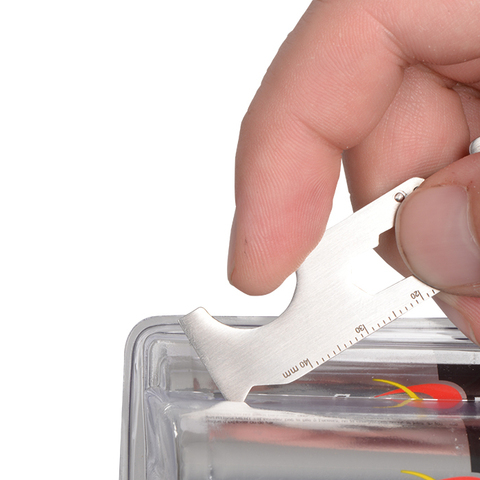 Made of durable stainless steel and designed with a carabiner clip for easy attachment to almost any key ring, one end of the DoohicKey 6x Key Tool is engineered to work as a scraper, tape cutter, and scorer; the other end serves as a flat-head screwdriver and pry tool (perfect for opening paint cans). 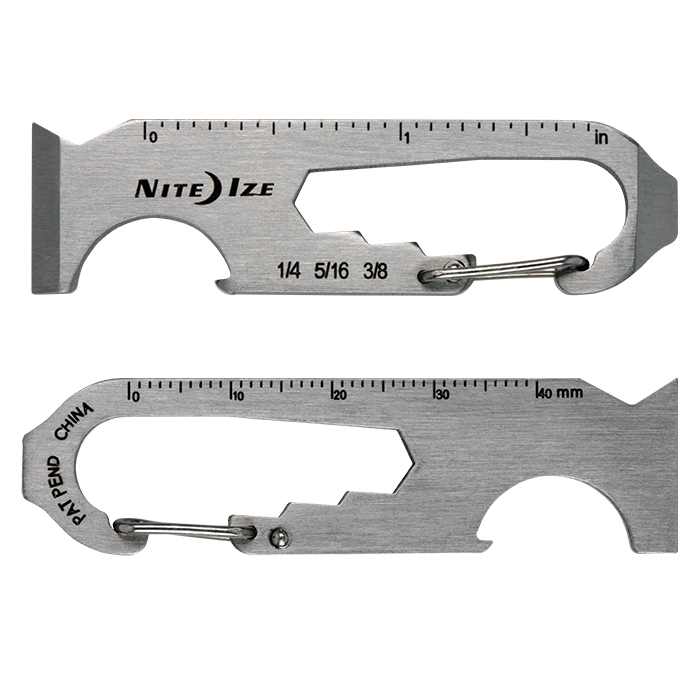 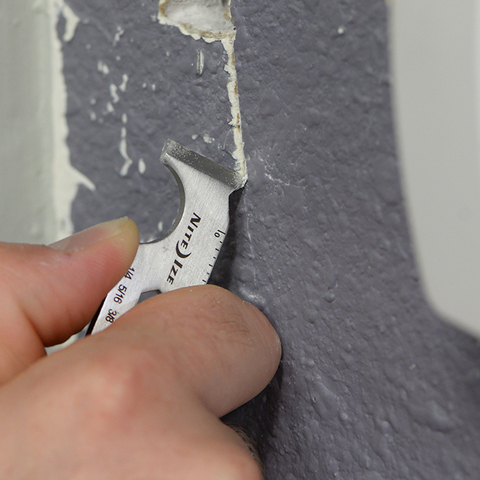 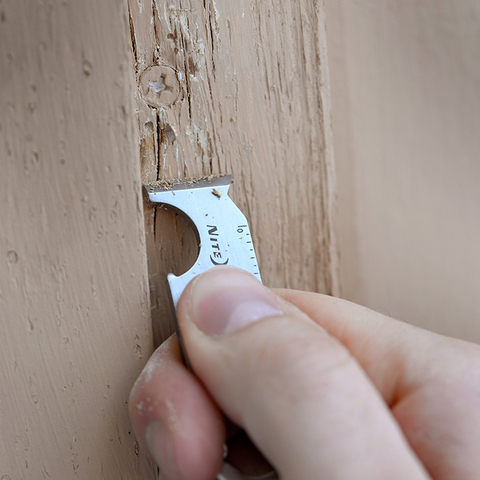 The outer edge is scored as a ruler in both inches and centimeters, the opposite edge features a bottle opener, and the interior is ridged to provide 3 wrench sizes. 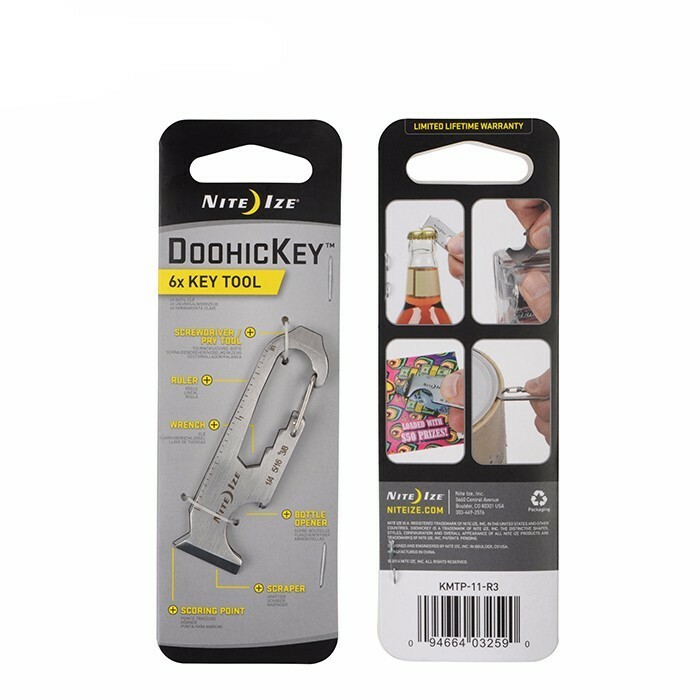 Best of all, the DoohicKey 6x Key Tool is airport friendly, so you can take it with you and keep it at hand wherever your travels take you.